The Major Assignments are described in this Syllabus. Please read it carefully. Ask for clarification on any items you are not sure about. It is assumed that you have had or are now taking Art 309: Art for Children. 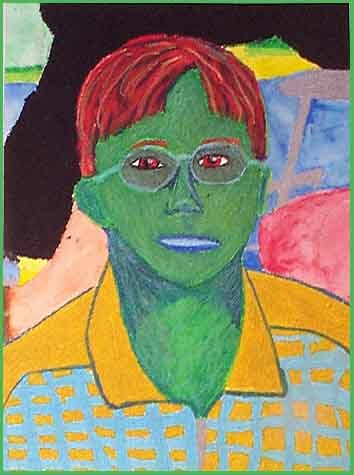 Secondary School Art is intended to complement Art for Children. During class you are asked for brief reports based on your experiences, observations, and reading. Some may also be registered for Education 314: Senior High and Middle School Curriculum and Instruction during the same term. Field work, journals, and assignments are to be coordinated. This course is a major part of student preparation for the Indiana State Standards for teachers of art. See the Indiana Standards for Teachers of Fine Arts at this Internet location. At this site you will find the proposed Indiana Certification Standards explained. Philosophy and Justification for Art in High School, Junior High School, and Middle School. The Curriculum. Ways to decide what to include in a secondary art curriculum. What values should students acquire? What skills, what awareness, and what knowledge are important? What things are actually learned in an art course? What are the theories and methods needed to plan and teach a DBAE (discipline based art education) curriculum? C Questions to guide reading, journal, and discussion about Art Instruction and Student Learning. What are the attributes of a good art assignment? Integrating art history, criticism, and aesthetics with creative production. How to critique (discuss) student artwork with them? Ways to evaluate and grade students. What attributes can be graded in student work? What else is graded by an art teacher? 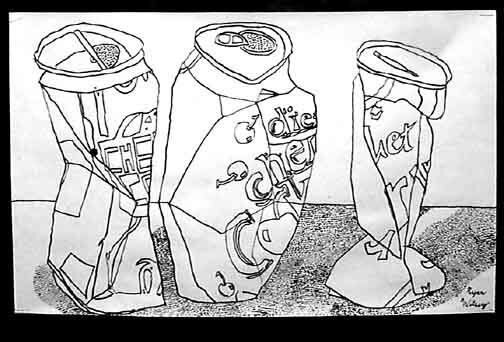 Learn about the use of rubrics for grading art students and their work. Study and compare art teacher styles, approaches, personalities, attitudes, and motivations. Relating to administrators, parents, and the pubic. Professional development by practicing art, exhibiting, research, continuing education, membership in art education professional organizations, and relating to other art teachers. What about exhibits and contests? What are their benefits and problems. Effective politics and getting what is needed. See Hatfield's book and other more current sources for ways to advocate for better art education support. E. Management styles in art rooms. How to work with people, especially adolescents . IV. Reading expectations A. Text: Creating Meaning Through Art by Simpson. et. al. B. Library books and periodicals. See bibliography . Select topics related to Jr. and Sr. High Art. Reading assignment: Turn in reading cards with 14 or more sources by mid-term and 28 by the end of term. List author, title, (c) date, and publisher. Include your own informative response to the authors’ ideas, descriptions, some direct quotes and list pages read. Some of the cards must be based on web page URL locations. Reading cards may be in the form of a computer file turned in on a disk or attached to an e-mail message. For each source, include your own interpretation and evaluation of how the reading seems relevant or useful to you now or in the future as an art teacher. V. Teaching Display Assignment Prepare a display students can use as a reference while learning a new process or concept in art. Something like an educational web site or Powerpoint looping presentation that can be running on its own in an art class may be an alternate to this assignment. Field experience is at least 2 days per week and at least 4 hours per week. Two hour students need to observe at least 3 hours per week. Students also in Educ314 need to add an hour per week to their observation time. It may be any combination of hours agreeable with the teacher which totals the hours per week needed. Observe and assist in the classes of two art teachers in whose classes you have not previously observed. Journal the experience. In your journal, always give other teaching and learning methods that might also work. Evaluate the methods observed in the light of your own reading and experiences. See " How to Journal Art Observations " page. Report to our class to process your observations. Get copies of two teacher's actual supply budgets or orders for one year of full time art teaching. Conduct two art critiques in real classes (10 or 15 minutes each) on campus or in secondary classes. These may be with small groups. Audio or videotape required. Use methods we learn in class. Audio or video tape these. Conduct two short Art History presentation segments (10 or 15 minutes each) that are designed to follow a class creative project. Include visuals, and handouts, or a classroom poster with key information points and concepts. Administer tests several days later to assess students recollection. Audio or video tape your presentations. Involvement with studio sessions in Art for Children class. Details to be planned in our class sessions. VIII. Tests and grades in this course Students write essay tests at mid-term and final time. Grades are based on tests and other course expectations listed above.